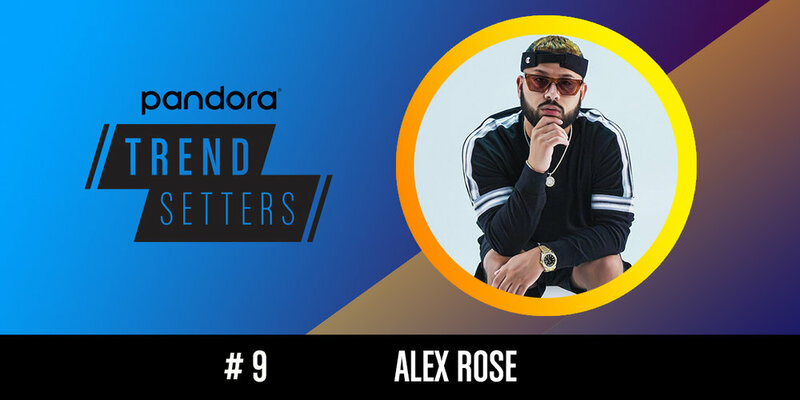 Two familiar faces, Alex Rose and Jessie Reyez, have both spent 11 weeks on our Trendsetters Chart and they continue to move their way up the chart! Take a listen to their artist stations on Pandora today! Rising Latin trap artist Alex Rose continues his climb up the chart this week as his singles "Darte" and "Toda (Remix) (feat. Lenny Tavarez & Lyanno)" heat up on Pandora. This month compared to last month, the Puerto Rican native has seen a 25% increase in both streams and Thumbs Up on Pandora. This marks Rose's second time in the top 10. Jessie Reyez, who debuted on this chart last year after the release of her single "Figures," jumps up five spots this week as she gears up for the release of her sophomore EP, Being Human in Public. "F*** Being Friends" is the latest track off the EP to be released, following "Bodycount" with Normani and Kehlani, "Apple Juice" and "Sola." Last week, the Toronto native saw over 2,300 new artist station adds on Pandora. Newer PostAnnouncing Our Partnership with Eventbrite!